Laurent wrote: I have seen a video on Youtube where Keith Farrell seems to use Cricket glove, when sparring with steel Feders at Dijon 2012. Cricket gloves seem indeed to be well padded, with good joints protection. 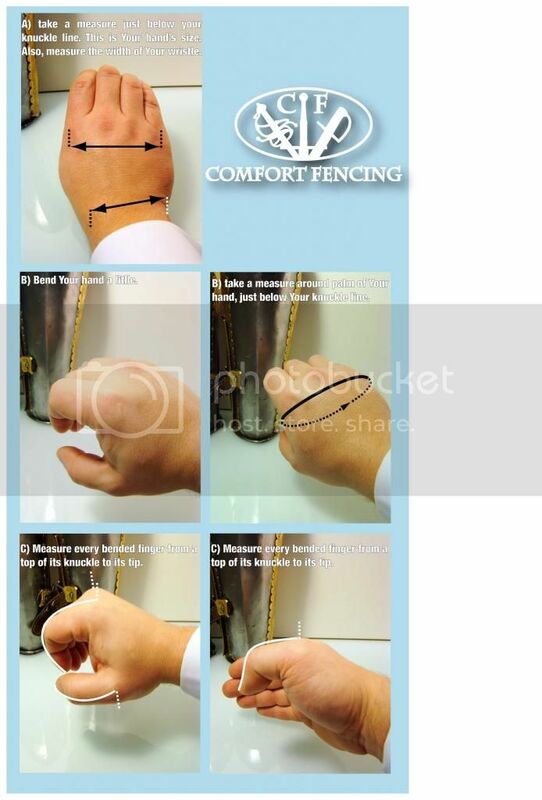 I have seen quite a few people wear cricket gloves, and the same problems are evident. Furthermore, most cricket gloves come with padding on only one of the thumbs, which is pretty useless for our purposes! 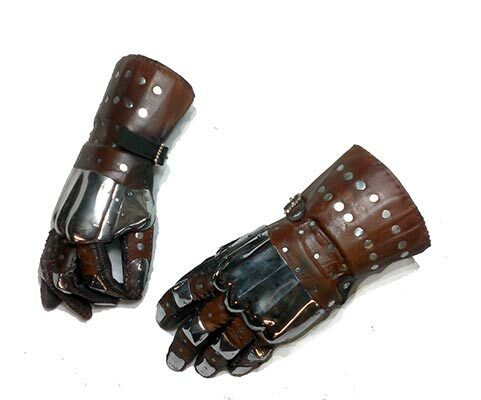 On the whole I would advise that people stay away from cricket gloves; something like the Kali gloves from Blitz are much more useful, even if they don't hold up to powerful steel sparring. Currently, I am using gloves covered with chainmail. Jose, which model are these? I've searched for Levior gloves, but haven't found any that look like that. Do you know where you got them from? KeithFarrell wrote: the fingers have lovely arrow shaped padded so there is no chance that sword blades will get between the blocks of padding. As I'm a total beginner and don't have a valid opinion on anything yet (anything HEMA related at least ) I figured I'd just plonk it here and see what people reckon. Personally they just look like rubber thimbles (ok, I lied about having an opinion). Worth 10 euros though? It looks far worse than it feels. Currently Pinky feels perfectly fine, has full mobility and cosmetically it looks like someone stuck some grape skin onto it. As for ideas for modifications or (as a high possibility now that I experienced it) as an excuse for my university dissertation project, perhaps it may be useful to incorporate a shell that would either distribute the forces evenly (plastic plate over foam?) or to have a structure that would allow part of the force to be directed to the handle. For further discussion of modifications or as a possible research project, I may start a new thread on this. The edges of the index and little fingers are vulnerable with these gloves. One solution is to insert a strip of foam or something similar inside the fingers at that edge. Could be glued in place with superglue or stitched. I found these lacrosse gloves, they are really good price. Does anyone know if they will be any good for sparring? I would say definitely not - they seem to be only very lightly padded for girls' lacrosse. 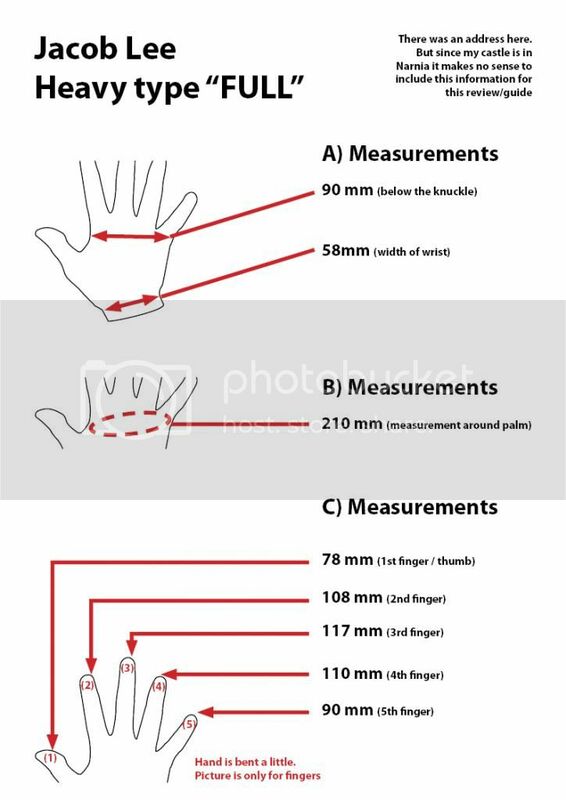 admin wrote: The edges of the index and little fingers are vulnerable with these gloves. One solution is to insert a strip of foam or something similar inside the fingers at that edge. Could be glued in place with superglue or stitched. 4 mm leather from cobbler's shop, glued with epoxy to the outer edge of the glove. Series of wedges should be cut where the glove needs to bend. I have seen two HEMA groups with modifications like these. I have also heard some exciting gossip about new HEMA gloves coming. In the mean time let me link a pic to the nicest gloves I know. Show the pic to your local master blacksmith and he will make a pair to your measures probably for few hundred quids. I understand this is only reasonable for those who use their hands for fine work to make a living. I know I can tap my keyboard with the occasional broken fingers just fine. admin wrote: Padding is not the be-all and end-all of protective clothing. 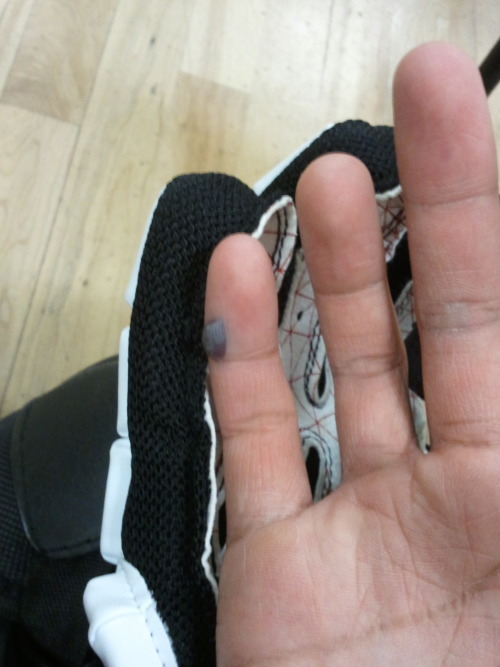 It may well be that the right choice for HEMA gloves is hard plates and very little or no padding. One of the problems with lacrosse type gloves is that they are massive and have lots of padding, yet they still don't protect the hands in all the ways that we would want. I have recently noticed (more explicitly that before) how hugely different padding can be. Different types of foam seem to offer really really different levels of impact protection, and you cannot always tell just by thickness or squeezing it how well it will protect from sword-like impacts. My two pennies worth is that most cheaper lacrosse gloves are actually not using the right type of foam for what we'd want - I think they have gone for comfort over protection. Experimenting with some various gloves, I am frankly amazed at how much better wool padding works compared to most modern man-made foams. Paul in SG1 has bought a pair of these and we got a look at them last night. They are really good - they have better padding, a hard plate protecting the end of the thumb and they have hard plastic plates on top of the finger padding. The edges of the index and little fingers still don't have much protection, but slightly more than the cheaper gloves. All in all I would say these are well worth their price and a big improvment on the Tempo2 type gloves. They are not hugely bulky, but seem to give a lot more protection. The only obvious downside that I could see was that the plate for the end of the thumb can conflict a little with a sabre guard (although only a bit), but you'll be very glad to have that plate with medieval style hilts! To revisit this - according to the gloves being used in SG1 at the moment, these still seem to be the best value decent lacrosse gloves available in the UK. However I would only recommend these for medieval weapons - the thumb protection and general bulk makes them impractical for sabre or closed hilts. We actually used to make similar things out of leather to drop into glove fingers... they did help, so if I were making an order from SPES anyway I would throw them on and try them out. Not sure I would pay to ship them without it. Mind you, we now use sparring gloves / af gloves mostly so clearly we decided it was not enough, but one guy still uses them as part of his seriously kitbashed hockey gloves. The invoice would be ready by tomorrow and the order itself was estimated to be ready for postage by the 5th of March. It looks like a review of their gloves will come much sooner than expected. Comfort fencing has released a new album dedicated to the Full Heavy gloves. One interesting feature on this glove is the large "palm" plates being sandwiched between some sort of inner padding, and a rubber outer sheet. I have just bought a pair of these. According to the sizing charts, if you're over 5'6" or so you should get the 13" gloves. These are only available in black or white from uklacrosse.com. I bought mine from http://www.uklacrosse.com/ - comes to £66.50 with VAT and P&P - so more expensive than they first appear, but quicker to get hold of than the Sparring Gloves, which seem to be made to order. Will update with delivery speed etc. when I have them.